The place famous for bringing quick-service, authentic Latin cuisine to South Florida was founded by the not-at-all-Latin-sounding Stuart and Larry Harris in 1988. The Harris brothers’ first location was at 741 NW 37th Ave, across from what was then the Flagler Dog Track. 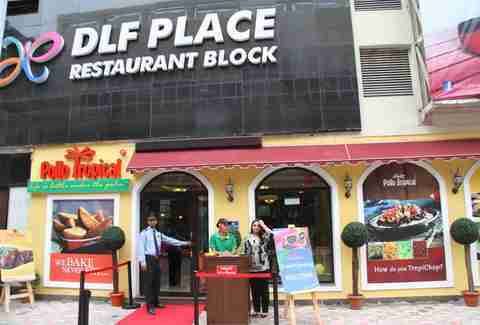 Now owned by Fiesta Restaurant Group, the original location is still there. The dog track is Magic City Casino. 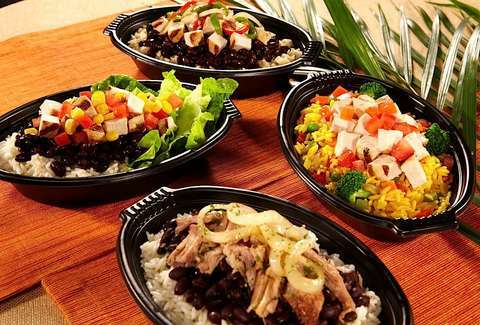 Because no one wants to spend $250 a head on catering when you can get a ¼ Dark Chicken Value Meal for $3.99, Pollo Tropical in Margate invited people to get hitched under the palm this past Valentine's Day. Suzanne Leroux and Matt Solly took them up on it, and now officially have a better wedding story than you do. It would be closer to 16 million if that abuelita at the front of the line didn’t ask questions about the ENTIRE menu and could figure out a debit card reader. 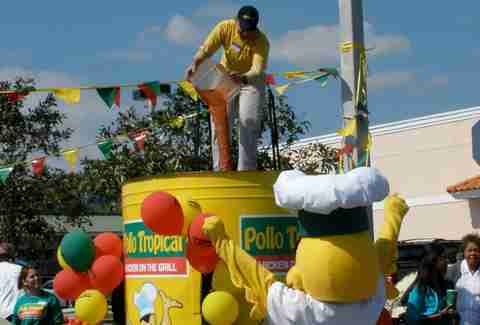 At Super Bowl XLIV, Pollo Tropical threw a pregame party that set a world record by dishing a literal ton of salsa. Eleven years earlier at SB XXXIII, they set a record with the world’s largest bowl of black beans and rice at 10 feet-wide and 3,500 pounds which, had it played for the Falcons, might have kept it close. 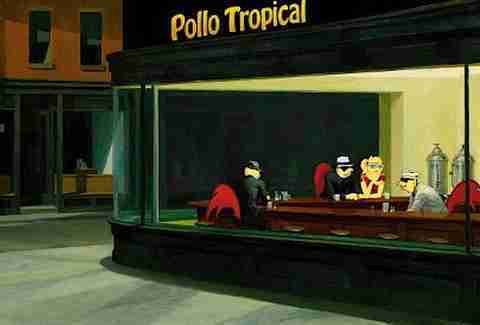 They helped launch this Pollo Tropical staple in 1997 by doing a dance that loosely resembled the Macarena on a local TV morning show. Mercifully, the TropiChop remains with us, and said dance is gone. Because when you worked at PRC, where was everybody going for lunch? There’s just something about yuca fries and call centers. Without even needing Gloria Estefan’s encouragement, in 1996 Pollo Tropical got a couple-thousand Miamians to do that conga through Downtown, angering motorists and workers until they got home, saw on ABC News that it had raised $10,000 for United Way, and then felt like complete jerks. That’s 20 million pounds. They also serve two million pounds of yuca, an Olympic-sized pool-worth of marinade, and 82 rail cars-worth of rice. And that’s just to Paul Castronovo... ZING!